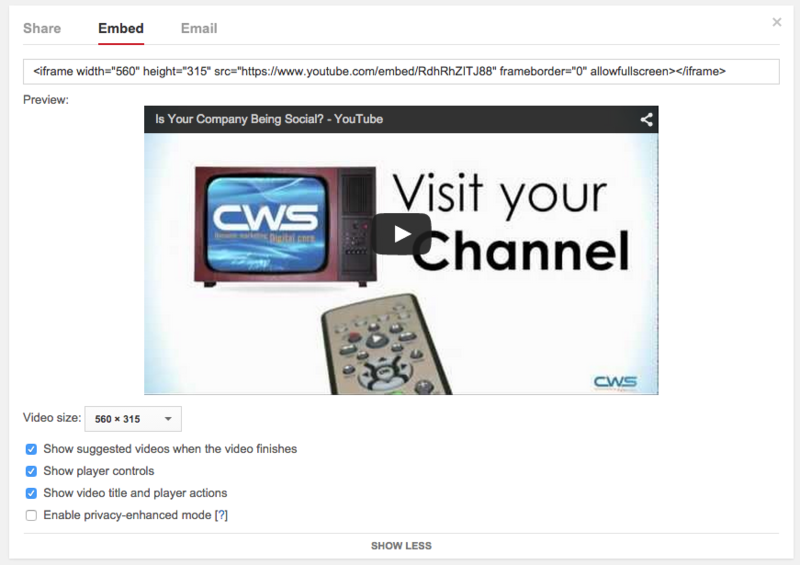 1) To embed a youtube video, it will need to be on your channel first. 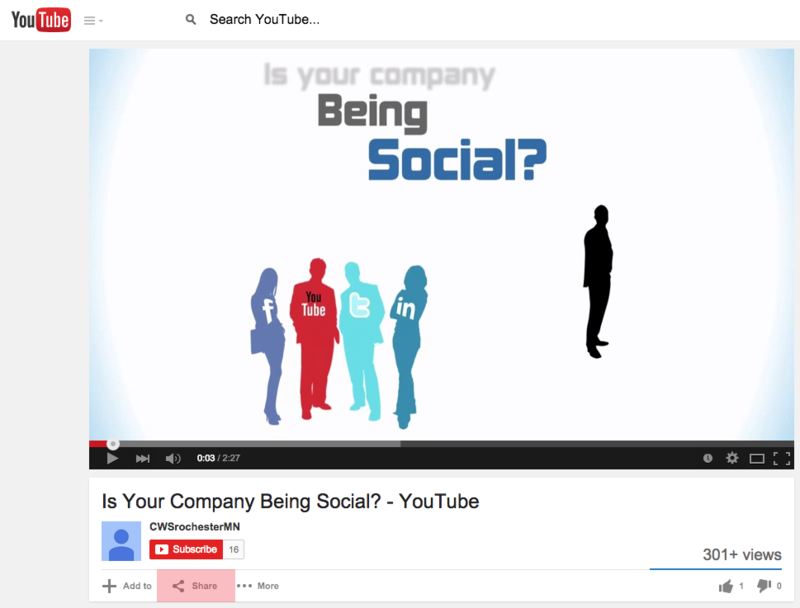 Once the video is on your channel, find it on youtube and click the Share button below the video. 2) Some options will show up below and click on the embed button. 3) Once the iframe code shows up, you can copy the code or you can hit Show More and there will be other options for your video. 4) If you do not have anything to change, copy the iframe code by right clicking on the code or using Command + c for Mac or CTRL + c for PC. 5) Go to the page in the CMS where you want to embed the video and click on the edit icon. When the editing winow opens, click on the Source button. 6) Here you will see some code and just scroll down to where you would like to place the video and paste the iframe in an empty line. 7) Once that is done, click the Source button again and then save and make the contents live. That's it!